Arvilla pays homage to American artist Cy Twombly through this series of Odes. Twombly was a contemporary of Robert Rauschenberg and Jasper Johns known for his calligraphic, free-form markings on solid fields of muted colour. In Sydney, Arvilla found Twombly’s triptych Three Studies from the Temeraire a particularly inspiring sight at the Art Gallery of NSW. 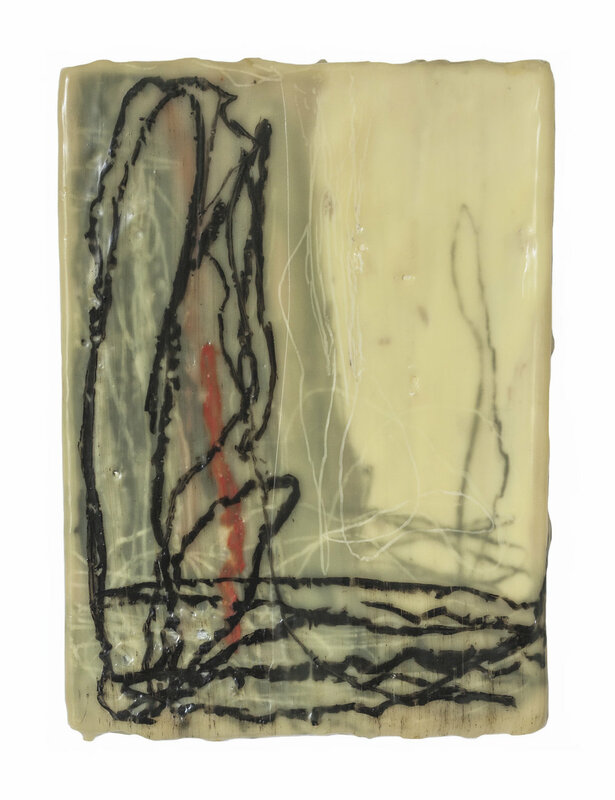 Arvilla’s repetitive strokes, incised into the wax, work through Twombly’s gestural mark-making and reinterpret his rhythmic actions across the small panels. Arvilla recalls the artist’s minimalist palette of black, white and grey through his own reworking of Twombly’s style.